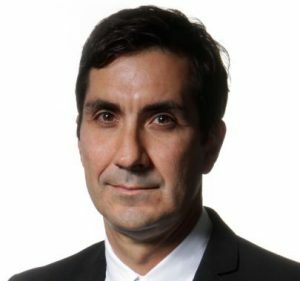 Dr Jeremy Sammut is a senior research fellow at the Sydney-based public-policy research institute, the Centre for Independent Studies (CIS), and the director of CIS’s Culture, Prosperity and Civil Society Programme. Jeremy is one of Australia’s leading ‘think tankers’, and is a key participant in important, complex and emotionally-charged debates over Australia’s cultural and social direction. His ground-breaking and influential research on Australia’s child-protection crisis has led the national debate on adoption reform, and his book, The Madness of Australian Child Protection: why adoption will rescue Australia’s underclass children, was published by Connor Court in November 2015. He has been the author or co-author of 26 research reports and numerous essays, articles and book chapters since joining CIS in June 2007. Approximately 200 of Jeremy’s opinion articles have featured in publications including The Australian, The Australian Financial Review, The Sydney Morning Herald and Spectator Australia. He frequently comments on public policy, social and cultural issues in the print, online and electronic media. Jeremy holds a PhD in Australian political and social history from Monash University, and has published on historical topics including Australian federation, the First World War conscription referendums, the woman’s suffrage movement, the White Australia Policy, immigration, multiculturalism and indigenous affairs. He is currently writing a book about race, migration and identity politics in Australia.